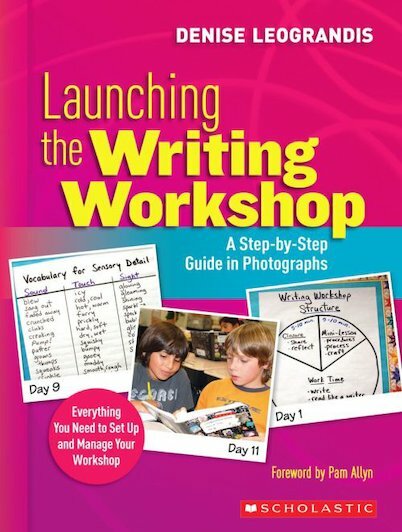 Classroom teacher, Leograndis uses full-color photographs with clear descriptions to show you how you can transform your classroom into a well-organized workshop that supports writing growth. You’ll find unique and highly practical ideas for setting up and maintaining record systems and organizing supplies, to teaching workshop routines, building community, and establishing a productive learning environment. This rich resource includes dozens of classroom-tested management and instructional charts and strategic lessons that build day-by-day and week-to-week, as well as lists of mentor texts and read alouds for launching a writing workshop. Great ideas for homework, too. For use with Grades 1-6.